My first recipe post! I don’t consider myself a great cook, rather I cook out of necessity as I have five hungry mouths to feed, and I’m the only one who can cook. But my blog is about helping out moms, so if I can do that in the kitchen, so be it. 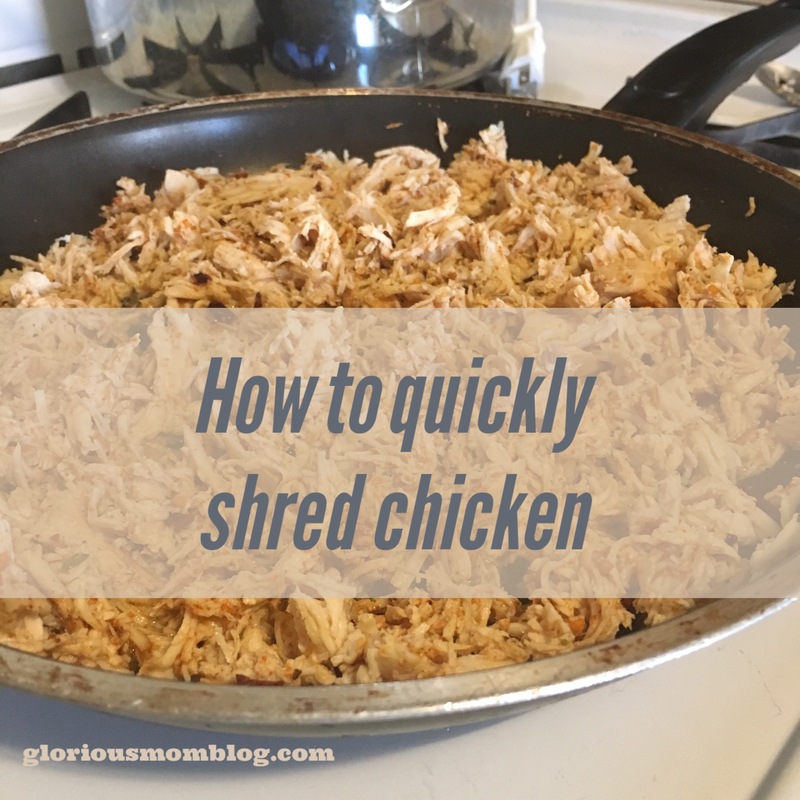 I avoided shredding chicken for years. I have this memory of me at my sister’s house with an enormous pile of steaming boiled chicken breast in front of us, and we’re struggling to transform that pile using … forks. No thanks. The enchiladas were delicious, but I’m a WAHM with three littles, one with special needs, so dinner has to be FAST! Then I stumbled across this obscure tip online and it made all the difference. 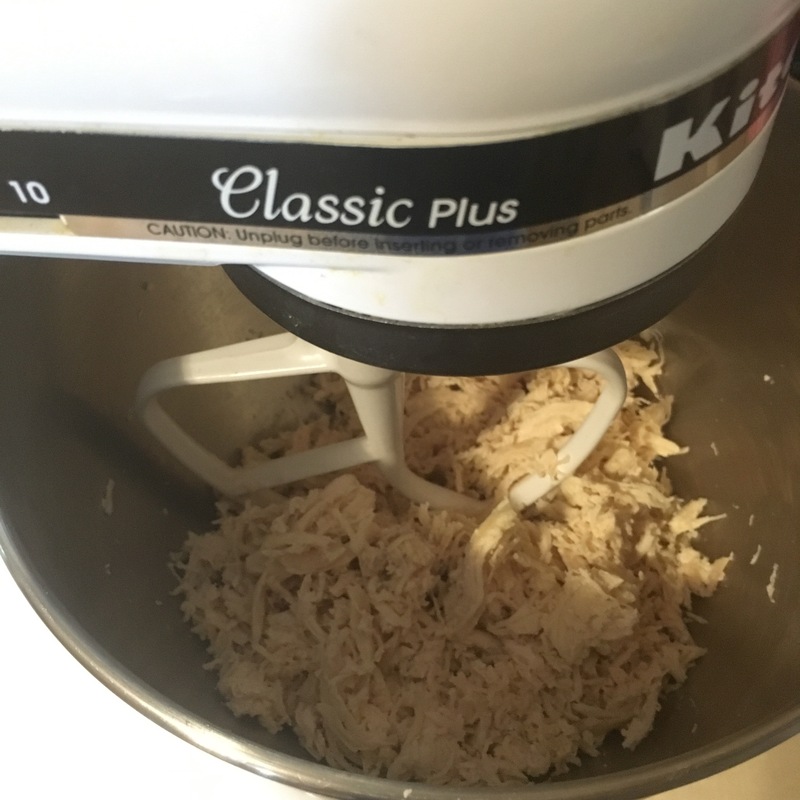 Basically, you use your stand mixer to shred the chicken. Not sure if this will work with a regular hand beater, but I suppose it’s worth a shot. If you don’t have a stand mixer, Christmas is only a few months away! I got mine for Christmas. Kohl’s was having a great deal on Kitchen Aid mixers. Big stock pot! You can save the leftover water as chicken stock later. My freezer filled up fast so I just toss it. You can throw in either frozen or thawed chicken after the water boils. Frozen just takes a bit longer. Either way it takes about 20-30 minutes once you stick the chicken in, but I usually just check by pulling the thickest piece out and slicing it through the center to see if there’s any pink. 2. When the chicken is done cooking, I like to let it cool a bit before sticking it in the mixer bowl. 3. Beat the cooked chicken to the right consistency. As you can see, the standard flat beater works excellent. It takes about a minute or so for the chicken to reach the right consistency. Make sure you don’t overshred or it can take on a tunafish consistency. Simmer the meat in a pan with some water and taco seasoning. 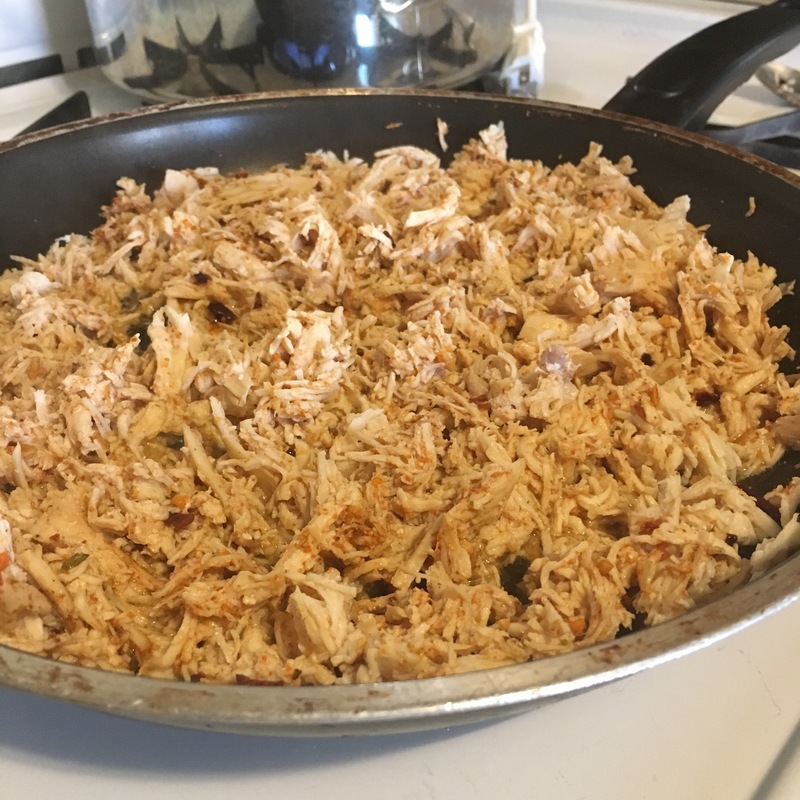 What do YOU do with your shredded chicken? I’m always looking for yummy, easy dinner recipes! This is how I shred pork for pulled pork. I love this tip! I’ve never thought to do this Great tip! OMG!!! this is perfect!!! I make shredded curry chicken all the time to go over rice or in lettuce!!! this saves me so much time! This is a very helpful tip. 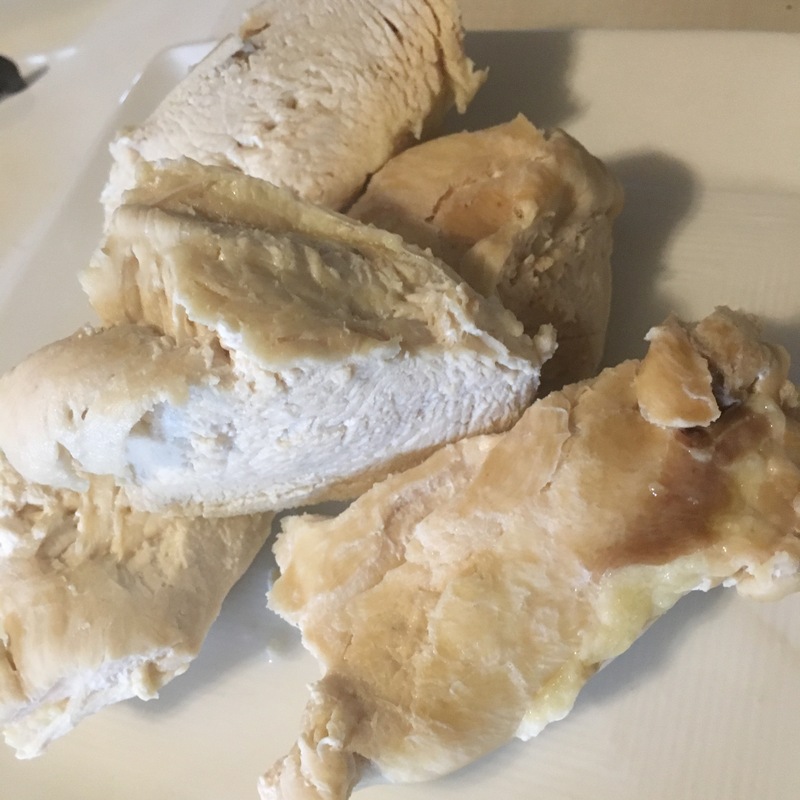 I use chicken in all kinds of recipes this will make those dishes much easier to prepare. Thank you. What a great idea! I don’t have a stand mixer, but I may have to try it with my handheld one.